It’s funny how the Intertubes work. The ebb and flow of trends. How the meem-of-the-moment (MOTM) takes over for weeks, drowning out practically everything else (except for the standard armchair outrage, of course). The MOTM it’s EVERYWHERE you look, inescapable–and then just as quickly it’s popularity drops off a cliff. 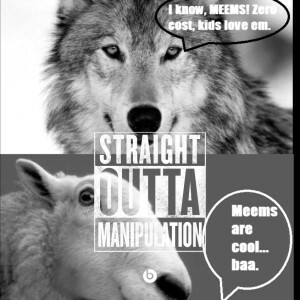 At the moment, the meem du-jour is “STRAIGHT OUTTA” a not-so-cleverly disguised marketing ploy for the soon to be released “Straight Outta Compton” biopic about the hip hop group N.W.A. It’s blown up the web and silly analysts are trotting out the tired old “Oh no they have lost control you should never put your product in the hands of the internet” trope. Are you kidding me? “STRAIGHT OUTTA” blowing up the intertubes is a marketers dream come true. Manipulation heaven. This anything-but-natural meem was carefully planned and I can assure you they’re ANYTHING but concerned about where their little meem has gone. They planned for this to be a viral campaign. They hoped it would work. And I’m more than positive that it’s succeeding BEYOND their wildest dreams. 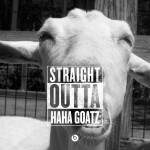 HAHA GOATZ ARE WHERE IT’S AT! Get real people this is the cheapest and most effective marketing campaign the makers of “Straight Outta Compton” could possibly dream of. They don’t have to do another thing and their film is on the minds of millions of folks right now. And it only takes a portion of them to pony up their cash when the movie hits theaters tomorrow for this to be a success for them. In what world does this turn out bad for these folks? I’ll answer that for ya… NONE. I’m so glad you asked. 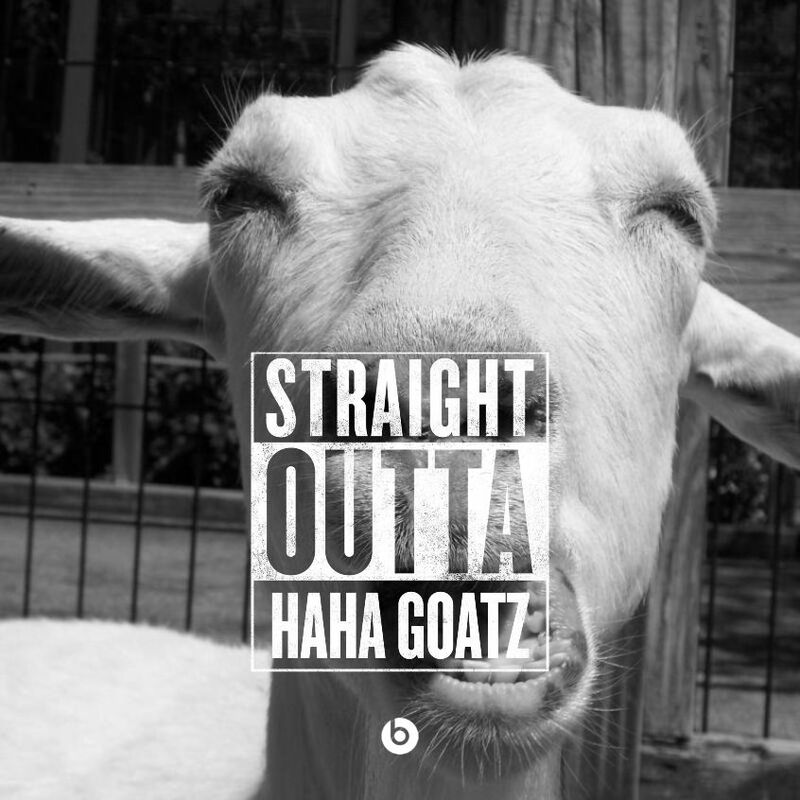 I’ve noticed that at the moment goats are hella popular on the web. 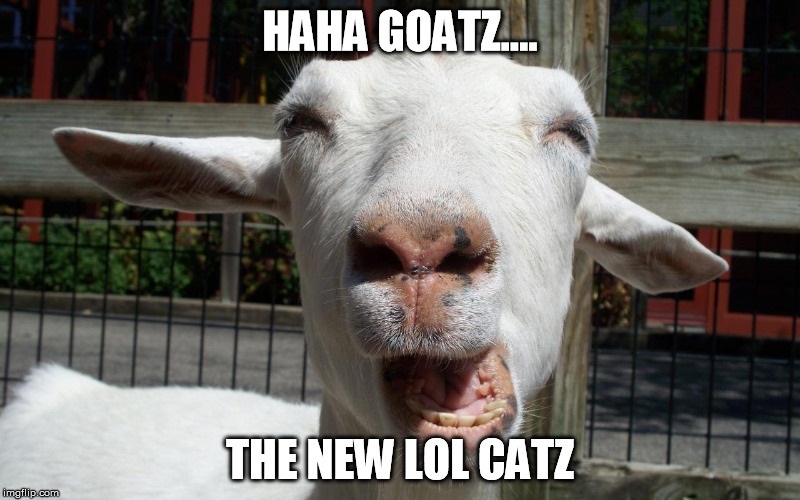 Some days I believe I may be seeing more of them that the undisputed KING of meems, LOL CATZ. And you know I want to be successful and popular like those “STRAIGHT OUTTA” folks so I decided to coin the phrase HAHA GOATZ. I’m planning on them be the next great viral success.